Food delivery startup Holachef has raised $1.38 million funding through a mix of equity and debt. While Rs 2.94 crore came through a clutch of individual investors and corporate entities, venture debt firm Innoven Capital invested Rs 6 crore in the Mumbai-based company. Rajasthan-based software publishing and consultancy firm IPI Technolab also participated in the round, as per VCCircle report. 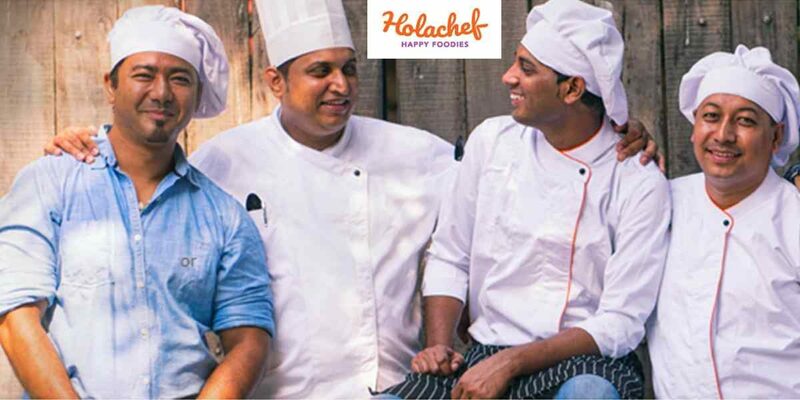 Launched in 2015 by Saurabh Saxena and Anil Gelra, Holachef acts as an aggregator and connects customers with chefs across Mumbai. The meals are provided in a single-person meal format with recyclable packaging and come with an option for the customer to choose delivery slots. Earlier in April this year, the company had secured $5 million in its extended Series B round of funding led by Kalaari Capital, SIDBI Venture Capital and India Quotient. In past, Ratan Tata-backed company had claimed to turn profitable this year with GMV of Rs 50 crore. Unlike many food-tech startups, Holachef has stuck to only one city (Mumbai) since most startups have shut shop owing to high operational cost and lack of fresh funding. Zomato versus Swiggy: Who will win the food delivery battle and why? Holachef has centralised kitchens across Mumbai, and it’s also planning to open offline outlets in the city. The company has clocked Rs 11.3 crore in operating revenues in the fiscal year 2015-16, however, it posted a loss of Rs 24.8 crore during the same period. Over the past two years, food-tech is notorious for being a graveyard for many startups. Things went wrong for food-tech startups in the latter half of 2015 and in 2016 with companies like TinyOwl, Dazo, Zupermeal, Spoonjoy, Eatlo and several others stumbling and either shutting down or opting for distress sales. However, 2017 has turned out to be good for survivors in the space. So far, close to $300 million poured into food-tech startups. In May, Swiggy had raised $80 million (Rs 517 crores approximately) in Series E funding led by Naspers. Gurugram-based food-tech major Zomato secured $20 million in April.